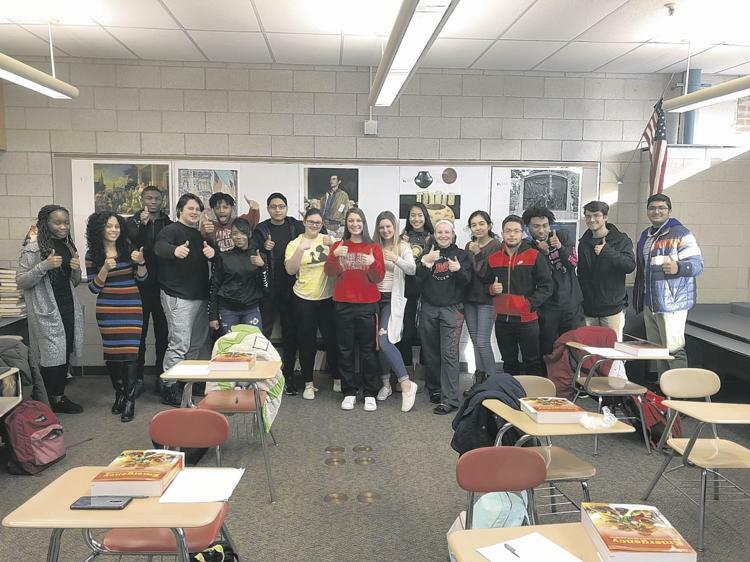 MANCHESTER- In another joint effort with Manchester Fire-Rescue-EMS, Ambulance Service of Manchester has teamed up with the Board of Education to coordinate a free EMT class at the high school. ASM Education Supervisor, Melissa Osborne acts as the lead instructor with assistance from FD personnel. Following successful completion of the program, students involved will be eligible for certification at the EMT-Basic level. As part of the course syllabus, Melissa has organized a visit to Ambulance Service of Manchester’s Headquarters. There, the students will put their classroom knowledge to the test by utilizing ASM’s state of the art training facility. 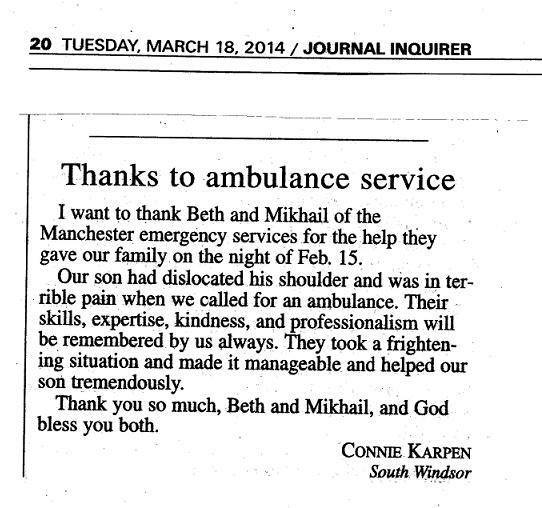 To read more about the MHS EMT Pilot Program, click here for a recent article by Journal Inquirer Reporter Emily Brindley. 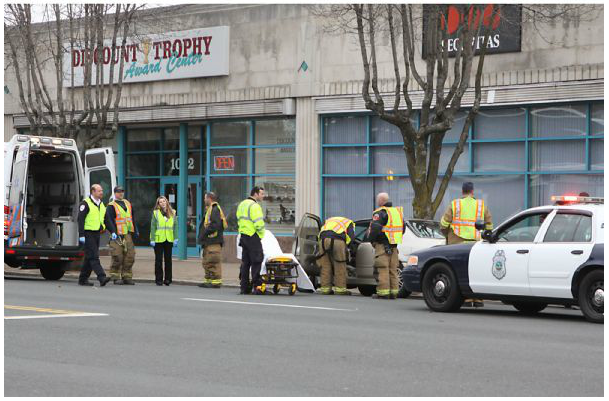 In addition to the pilot, ASM partnered with Manchester High School’s Allied Health Program in 2017, providing 20+ students with “ride-along” shadowing opportunities. This program is on-going and provides all MHS students, even those not formally enrolled in an EMT program a chance to gain real world EMS experience. 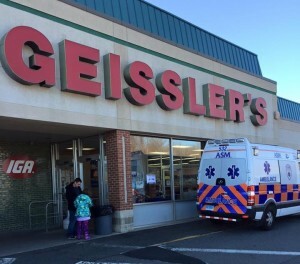 SOUTH WINDSOR — The South Windsor Police Department will join members of the South Windsor Fire Department and Ambulance Service of Manchester at Stop & Shop, 1739 Ellington Road, and Geissler’s Supermarket, 965 Sullivan Ave., for this year’s “Stuff a Truck” event. 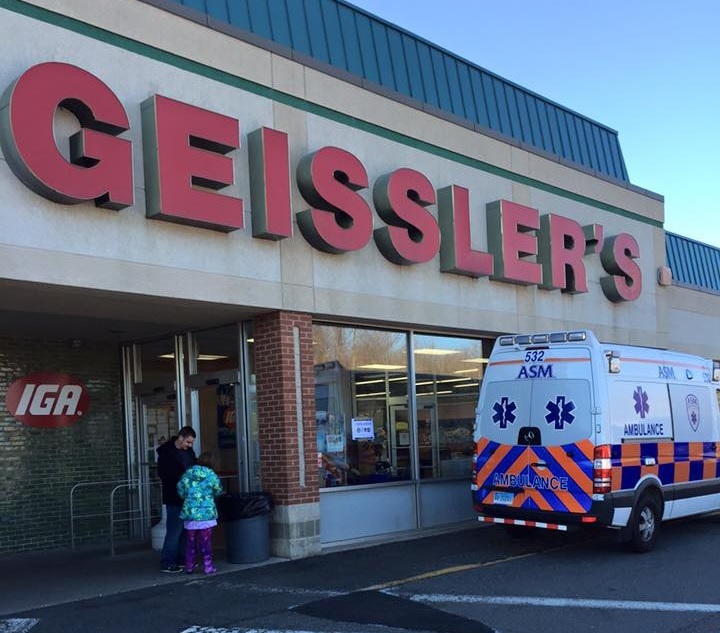 Emergency services personnel will be at both stores receiving toys, clothing, food, and cash donations from 9 a.m. to 3 p.m.
Toys should be new and unwrapped. 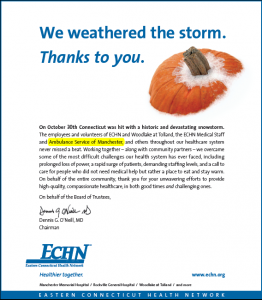 To show appreciation for the coordinated response to Winter Storm Alfred, Eastern Connecticut Health Network (ECHN) placed this ad in the Hartford Courant, Journal Inquirer and The Reminder News. 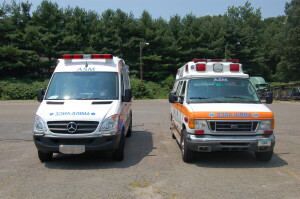 ASM and Aetna provided significant discharge, inter-facility, specialty care and post-care transportation in the wake of the storm, all while responding to record high 911 volume.